A tricky skinny, the curved approach and narrow 1.5m width means an accurate controlled approach is necessary. Flags and anchors are recommended. A 1.5m wide skinny available in a variety of colour options. 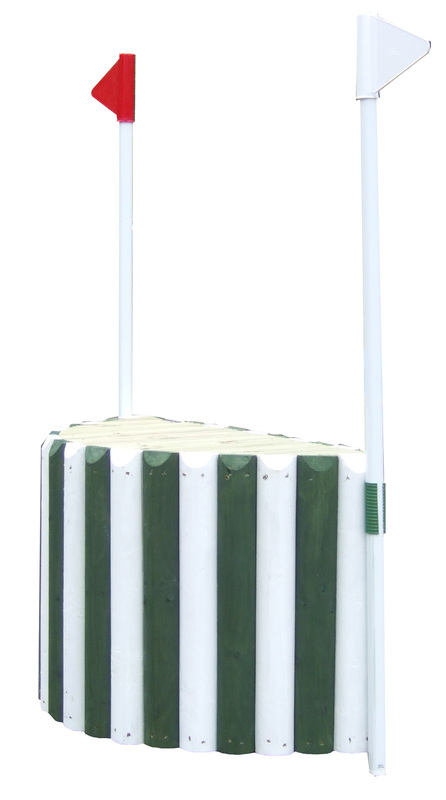 A candy stripe roll top cross country fence.